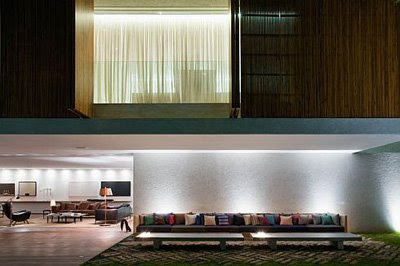 Clad in concrete and covered with a sliding vertical wood lathes, the house is beautifully lit at night when the modern furniture with stylish pillows and sofas becomes the main focal point. 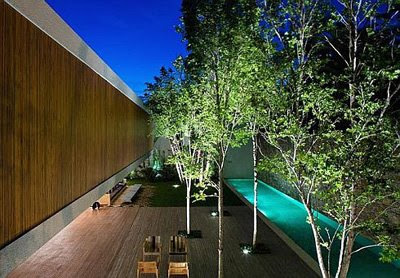 An amazing house perfect for a long weekend party with the buds. 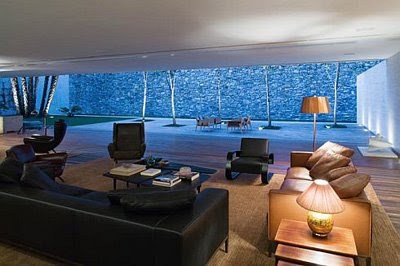 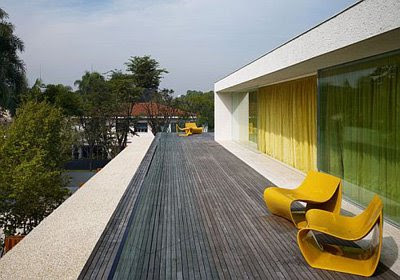 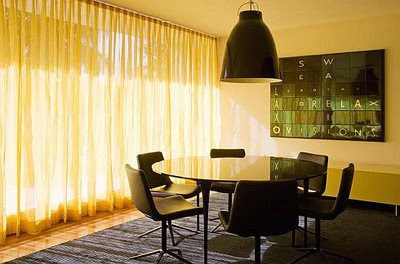 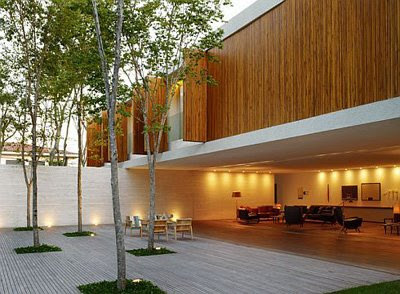 An architectural masterpiece, Marcio Kogan’s Panama House is more than just a place to live. 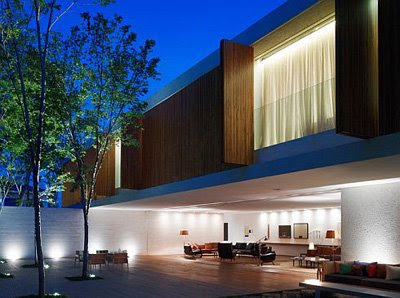 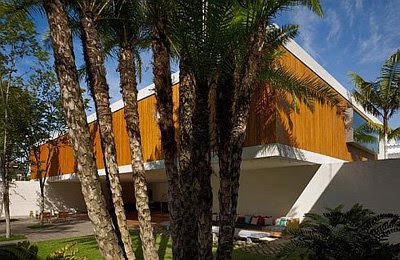 Located in Sao Paolo, Brazil, it’s the uninterrupted connection between the interior and the exterior that makes this stylish building look like an unlimited living space with no walls.